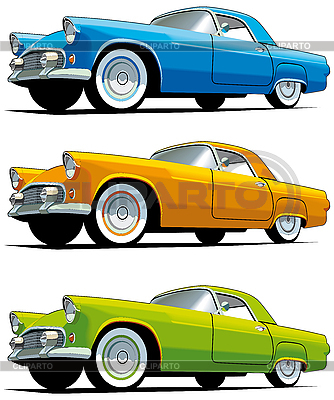 Vectorial icon set of American old cars isolated on white backgrounds. Every cars is in separate layers. File contains gradients and blends.